Shedd Aquarium is preparing for a new – and very large – resident. Mauyak is already mother to 6-year-old Kimalu, the last beluga whale calf born at Shedd. For the time being, Mauyak will continue swimming with Shedd’s eight other belugas and participating in aquatic presentations. Mauyak, whose name means “soft snow” in the language of the Inuit, the native people of the Canadian Arctic, will get regular checkups from Shedd’s veterinary staff, including video ultrasounds. 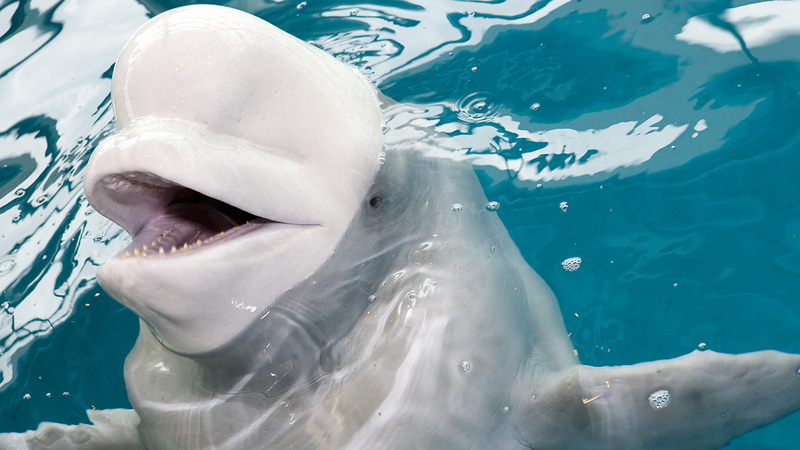 Beluga whales are distinguished by their white color and the distinctive melon-shaped organ at the front of their head, which allows them to navigate by listening to the echoes of their calls. Found in the Arctic and the circumpolar waters of North America, Russia and Greenland, the whales can grow up to 18 feet long and weigh more than 3,000 pounds.